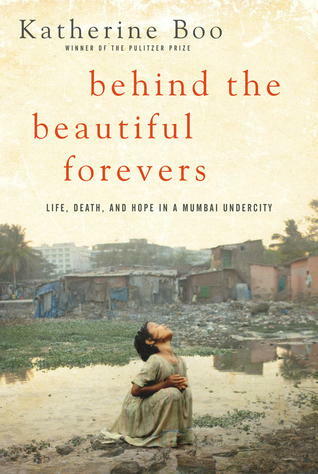 Behind the Beautiful Forevers is a non-fiction tale of how over population and a booming economy can easily overlook or victimize the poor. The story focuses on the infected and starving children who have to dig through trash dumps to salvage enough material in trade for money or food. The schools are treated like non-profit get rich quick schemes which provide an education that will most likely never get used. The police and doctors only work after they have extorted enough money from the parents. Despite all the corruption and bullying, it’s hard to blame any of the characters because everyone in these slums are victims. In fact, there’s a scene where the doctor tries to justify extorting the children because his family is also starving. There’s another scene which shows a little girl eating rat poison with milk so she doesn’t throw it up. Other girls argue against self-immolation because it’s too sloppy of a death. While a little boy is getting beat mercilessly by his mother, he comes to terms with his fate. He decides it doesn’t matter if he lives like a dog because at least he lives. A street vender also comes to an introspective conclusion. He notices that the differences between people are like the differences between ice and water. One is perceived to be worth more but they are both made out of the same thing. However, a father notices that the western belief is built on certainty while people in India believe that each day can bring chaos. Therefore, this forces these poor people to be quick-witted survivors. Although this book is full of bleak fates, it still shows the power of hope and the will to survive and better themselves no matter the odds.